As well as being the last World Tour race of the season, it’s one of the hardest with 257km and six summits to be conquered between Bergamo and Como. 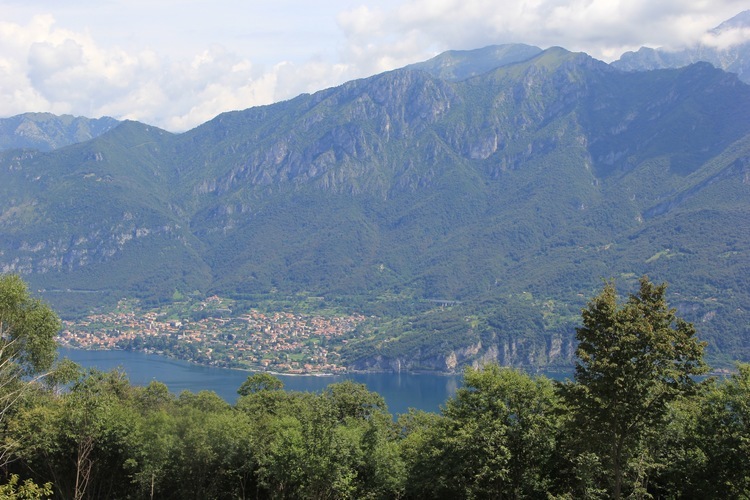 The peloton will climb 4,000m with the stunning backdrop of Lake Como and the surrounding mountains whose verdant flanks that rise majestically from its tranquil shores, turning golden in the autumn sunshine. 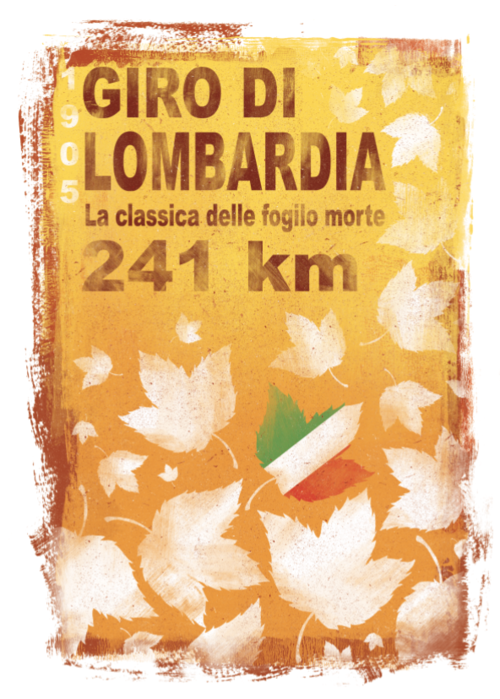 The most famous of these climbs is from Bellagio to Madonna del Ghisallo. Although it’s not the hardest climb with an ascent of 500m in just over 8km I can vouch myself, having ridden it in 2016, that it’s still to be treated with respect. There are sections with inclines of up to 14% that will sting the unawares. It’s here that the roads will be lined with passionate, screaming, cycling-mad tifosi who have chosen this specific spot to watch the race from. Because here is the chapel, The Madonna del Ghisallo, that was declared by Pope Pius XII to be the patroness of cyclists in 1949 during that year’s Giro d’Italia. Legend has it that the Count of Ghisallo was saved from a band of robbers by the appearance of the Virgin Mary at this very spot. As the peloton reaches the summit the church bells will be ringing, greeting the very riders the Madonna seeks to protect. It has become a place of pilgrimage as cyclists from all over the world go to pay their respects to the great Italian racers of the past: Coppi, Bartali, Motta. Their bikes, jerseys and flags festoon the walls of the tiny church along with photographs, caps, memorabilia and an eternal flame in memory of those cyclists who have lost their lives on Italian roads. There’s also a fabulous modern museum here devoted to the history of the bicycle and bicycle racing. The display of Maglia Rosas, from the faded woollen jerseys of the past to the garish modern lycra of the present is stunning. Last year Ghisallo came early in the race so it didn’t feature too much in the overall outcome. This year, however, it comes just before the testing Colma de Sormanio towards the end of the day, so it could be a launching point for seering attacks. This is an Italian race that has been dominated in the past by Italian riders, most notably by the great Fausto Coppi who won it five times. But they have had plenty of success in modern times too: 2001 to 2008 saw an Italian win it every year, while in 2015 Nibali was the overall victor. It’s also had its fair share of legendary battles as rivalries have played themselves out on the slopes of this beautiful landscape. In 1905 Giovanni Gerbi had the foresight to recce the route beforehand, picking a clever line across a railway crossing while the following riders were left sprawled across its tracks. Meanwhile Fiorenzo Magni was incensed in the 1956 edition when a car overtook him carrying Giulia Occhini, Coppi’s mistress, who sneered at him as she passed. They had never got on and, fuelled by anger and adrenaline, he set off on a seemingly hopeless chase to catch the breakaway of which Coppi was a part. In the final kilometers the two Italians played cat and mouse, neither wanting to give the other an advantage, playing into the hands of the Frenchman Andre Derrigade who attacked, opened a lead and won the race. This is a race where the climbers slug it out with the puncheurs. Last year saw Chaves win in a sprint to the finish with Diego Rosa, Rigoberto Uran and Romain Bardet after they had escaped from the peloton on the penultimate climb. It was the Colombian’s first Monument victory wrapping up a hugely successful year for him after his podium finishes at the 2016 Giro and Vuelta. We can expect a strong Italian flavour to the proceedings this year with both Aru and Nibali keen to get something out of the season. But they’ll have to overcome the likes of Mikel Landa, Michal Kwiatowski, Thibaut Pinot and Rigoberto Uran if they want to secure what would be a popular home victory. Meanwhile Thomas de Gendt could be one to watch out for and Nairo Quintana will want to prove himself after a disappointing Tour de France this year. Following on from the brilliant world championships in Bergen, this last big race of the year should be the crowning glory to a fantastic season of bike racing. Don’t miss it! It’s being broadcast live on Eurosport from 15.15 as well as highlights later in the evening.